The premier tile & grout cleaning company in Greenville says, "Whassup!" 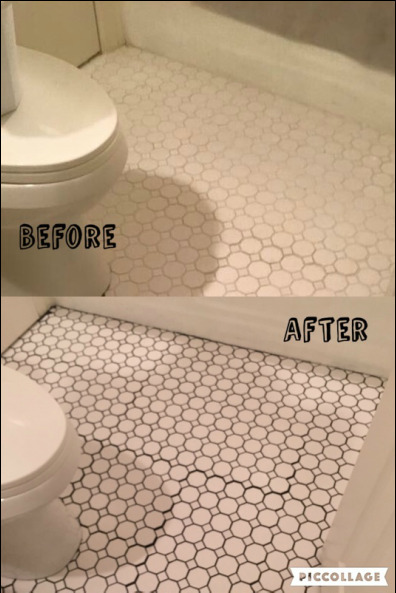 Greenville Tile Cleaning is not your typical (read: sloppy, late-arriving, price-gouging, half-assing, couldn't care less about that grout stain) tile or carpet cleaning company. We at Greenville Tile Cleaning love to wow our clients. Whether it's your standard porcelain tile and grout, natural stone, old school ceramic tile, saltillo tile, brick, concrete, wall tile, countertops, you name it, if it's hard and it can get dirty, we can clean it! Heck, it doesn't even have to be a HARD surface. 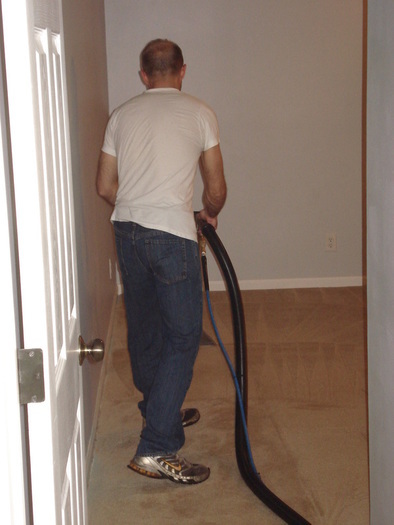 We've been known to clean the crap out of carpets too. Upholstery? Yes, of course! Ain't no reason to say yes to the carpets and no to the drapes ...that'd be just plain mean. Now if you've made it this far, you might be happy to have learned that tile cleaning in Greenville is not our raison d'être. We exist to solve problems that other companies cannot or will not address. It's why we have become the #1 shower restoration company in the upstate. What the heck is shower restoration, you might ask? Check out the before/after shower scene photo (Rated G, we promise) on this page, and if you can't get enough, we have a page dedicated to shower restorations. Well what about my nasty stained grout, you ask? It looks like a congregation of alligators have been having turf wars here every night for decades! Don't you worry your pretty little pinky finger, because we have a long term solution for you, and it won't entail tearing out that grout and getting dust all up in your crib. It's called color sealing and we've got a photo on this page as well. Ditto for it's own page on this here site (we think of everything don't we?). Now suppose you were thinking about that curbside appeal. Maybe you want to sell your house, maybe you just think it's time to get the neighbors to stop staring as they pass by. We've got your exterior covered! Brick, concrete, walls, patios, pool decks, and probably surfaces that aren't even on the market yet. 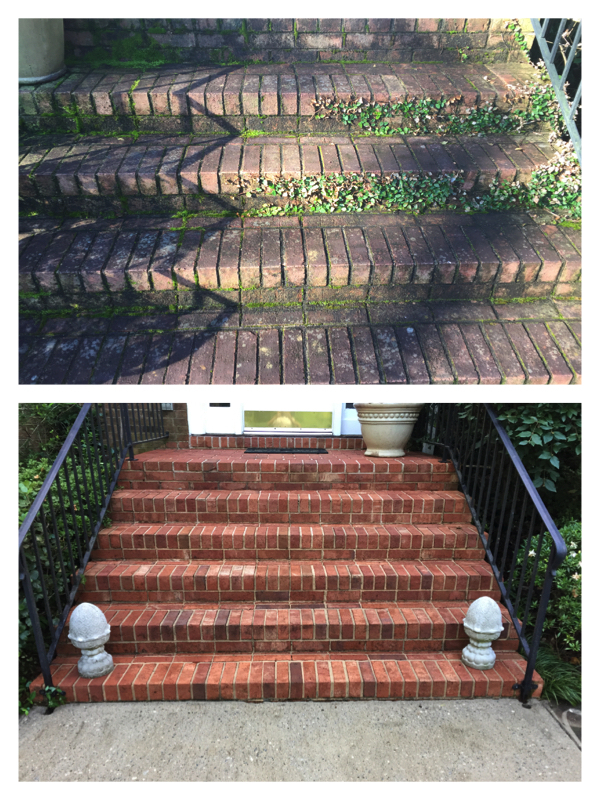 Check out our brick before/after photo on this page and, you guessed it, our brick cleaning page. Did you know that Greenville is 1080 ft above sea level? That's pretty high, dude, but right next door you've got Paris Mountain, at 2000 ft. What does this have to do with tile and grout cleaning?? Absolutely nothing! Just making sure you're paying attention. Now listen up! Greenville Tile Cleaning brings more to the table than your wham bam, thank you, ma'am guys. Let's face it, carpet cleaning guys have long deserved reputations for being sketchy. From cheating clients on areas to not pre-spraying, to over-spraying so the carpets get dirty faster, let's face it, there's a black cloud hanging over that industry. We were never entrenched in that industry (thank God). We entered this marked with explicit intent to do things differently, and our clients notice. We like to get to know our clients. We want to know the who, what, when, where, how & why you called us. Why is that, you say? Because we care. And we want you to know it. Call it the invisible touch. Call us different. Call us friendly. Whatever you call us, don't be surprised if you end up telling us the story behind that awesome antique wallpaper that we will not ruin! 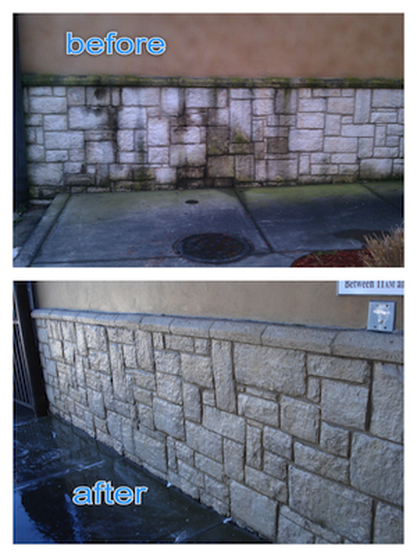 ​Concrete can be tricky to clean without the right tools. Guess who has the nifty extraction tool on casters that makes concrete cleaning a snap? That's right, Greenville Tile Cleaning! Most cleaning companies use a pressure washer wand only, or have a spinner tool on casters that does not vacuum extract the dirty water. So they cannot get the concrete as clean as us! Without a vacuum (extraction), you're just moving dirty water around. We could also get hyper technical and talk about the patented spray angle our tools have that ensure water is spraying on the concrete surface instead of on a thin layer of water, but we'll spare the boring details. Just let our photos do the talking for us. If you really want to know about our process of cleaning, we go in depth on our tile & grout cleaning page. Once we clean the mess out of your hard surface, you may want some protection against soils and bacteria, you know, the things that got embedded in the first place. Well, that's highly commendable of you to show such concern for your newly cleaned surface. At Greenville Tile Cleaning, we offer sealing for all sorts of surfaces. Like all sorts of products, not all sealers are made equal. We only use high quality professional sealers. 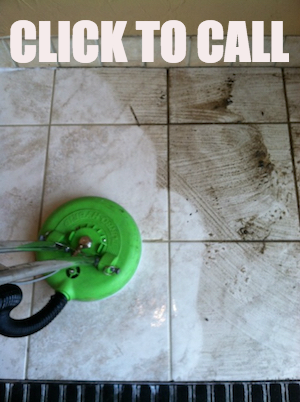 Ok, so now you know Greenville Tile Cleaning knows their stuff when it comes to hard surface cleaning. You probably have even let your eyes wonder over to some photos and have widened them just a little, adjusting your focus. As they used to say back in the days of TV antennae (hey, that rhymes! ), "do not adjust your television", er, eyes. These are real life photos of real life jobs we have done! So don't think your floor or wall or countertop, patio, steps, or walkway are a lost cause. Give us a shout before giving up. You will be surprised. You may be floored. Sorry, couldn't help it. "What's this about carpet cleaning," you may ask? What's it got to do with tile cleaning? "Not too much," I might say. But there are some similarities, like both need extraction cleaning periodically to maintain them. Vacuuming does some good. Actually, it does a lot of good. See why here. To answer your question, yes, we do clean carpets and upholstery. We've got skills, yo. 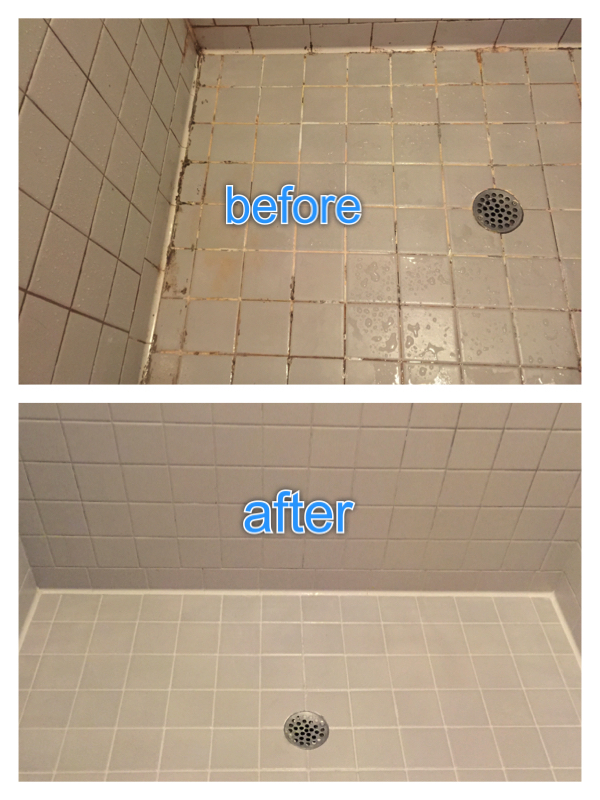 To sum up what Greenville Tile Cleaning can do for you, see the words of one of our clients. "We were amazed at the marvelous improvement in the appearance of our two baths and kitchen. We did not realize the vast difference this work would create. It is such a pleasure to walk into these rooms now!" Visit our sister site www.surfacegleam.com for our original Spartanburg tile & grout restoration web presence. SurfaceGleam has been around since 2010 and was originally serving the Myrtle Beach, SC area.